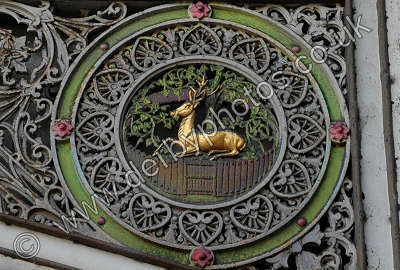 A) Where would you find this ornate work? 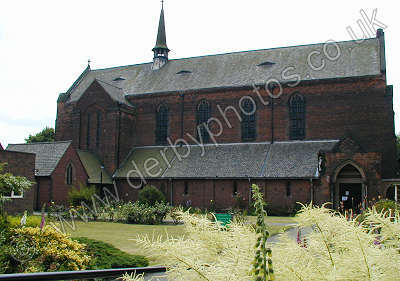 A) In which Derby suburb would you find this building? 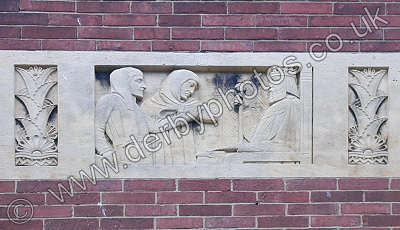 A) Where would you find this decorative panel? 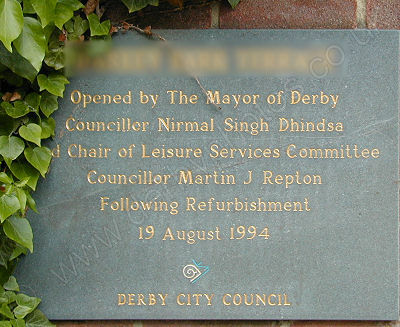 A) Where would you find this plaque? 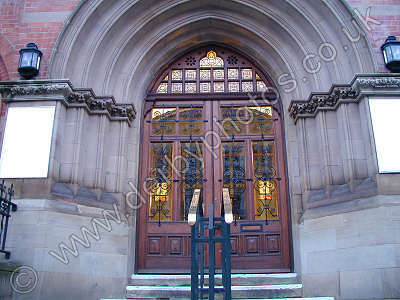 A) What building in Derby, has this entrance ?